Today, I address a larger question than one about federal tax crimes. The question is whether our traditional criminal justice system for finding truth by triers of fact -- usually juries but sometimes judges -- really do it well and how much confidence can we have that they do it well. At the outset, we all recognize that no system is perfect. Our system requires proof of guilt beyond a reasonable doubt -- not proof beyond any doubt, but proof beyond a reasonable doubt. So, as articulated -- beyond a reasonable doubt -- suggests the possibility that some are wrongly convicted even though a jury could find that they were guilty beyond a reasonable doubt. But, even the concept of what is proof beyond a reasonable doubt is uncertain, further exacerbating the possibility of a wrongful conviction. See Reasonable Doubt - What is It? (Federal Tax Crimes Blog 10/16/09), here. I point readers interested in this topic to a recent article: Mark Godsey, We Are Naturally Bad Sleuths..and Frequently Fail to Find the Truth (10/25/13), here. Mr. Godsey offers a good introduction to problems of memory as they play out in our judicial system, referring principally to Elizabeht Loftus's Ted Talks: The Fiction of Memory (6/13, posted 9/13), here. Her talk is an outgrowth of the Innocence Movement. See the web site for the innocent project here. Readers interested at any level in the criminal justice system should be familiar with the phenomena discussed in these postings. Matsa was a licensed real-estate broker and lawyer in Ohio. He routinely reported losses or minimal income from his businesses, such that from 1985 to 2006 he paid a total of $107 in federal income tax. His legal troubles began when Chrissoula Matsa, his wife at the time with whom he was undergoing divorce proceedings, tipped off law enforcement to his shady dealings. A subsequent investigation by the federal grand jury revealed a number of dubious practices, including the use of phony trusts to mask personal assets, the failure to report rental income, and the transfer of property (though not actual control) to friends and relatives. During the investigation, Matsa failed to comply fully with the government's subpoena of his records. Based on this conduct, the grand jury indicted Matsa for one count of corrupt interference with administration of the internal revenue laws, 26 U.S.C. § 7212(a); fifteen counts of assisting preparation of false tax returns, 26 U.S.C. § 7206(2); one count of failing to report a foreign bank account, 31 U.S.C. §§ 5314, 5322(b); one count of conspiracy to obstruct justice, 18 U.S.C. § 371; two counts of witness tampering, 18 U.S.C. § 1512(b); one count of making a false statement, 18 U.S.C. § 1001; and one count of obstruction of justice, 18 U.S.C. § 1503(a). The grand jury also indicted Matsa's mother for conspiracy to obstruct justice and tried them together. A jury found Matsa guilty on all counts after a five-week trial, and the court sentenced him to a term of 85 months' imprisonment. This appeal followed. 2. Obstruction of access to a witness. 3. Threats toward defense counsel. Question 10: If the amount of criminal restitution ordered and the subsequent restitution-based assessment is determined to be excessive by a subsequent examination, can the Service abate any portion of the assessment? Answer 10: If the Service determines, pursuant to examination, that the restitution amount ordered is excessive, the Service should contact the Justice Department's Tax Division or the proper U.S. Attorney's Office and request a modification of the restitution order. When the restitution order is amended, the Service may abate the related assessment under section 6404 to bring it in line with the amount in the amended order. Although the taxpayer is not precluded from seeking abatement under section 6404 before the restitution order is modified (notwithstanding the restrictions of section 6404(b)), a valid and meritorious section 6404 request by the taxpayer still requires the taxpayer or the Service (through the Justice Department) to seek modification of the restitution order in order to reduce the amount because the Service is bound by the actual terms of the restitution order in making an assessment under section 6201(a)(4)(A). The treatment of a restitution-based assessment as separate and distinct from an actual determination of tax liability for the same tax period requires clarification and revision of Question and Answer 10 in Chief Counsel Notice CC-2011-018, The Assessment and Collection of Criminal Restitution. The answer to question 10 in that document addressed the situation where restitution ordered "is excessive" compared to the amount of tax liability determined by civil examination for the same tax periods. By using the term "excessive," Question 10 erroneously assumed that the amount of restitution is directly related to, comparable with, or an aspect of tax liability as determined by the Service's examination. On the other hand, Question and Answer 10 properly concluded that the Service may only abate a restitution-based assessment to bring it in line with an amended restitution order from the sentencing court. Regardless of whether the civil examination for the same tax period covered by the restitution order results in deficiency determination greater or lesser than the amount of restitution, the Service shall assess and collect the full amount of restitution ordered. NOL carrybacks or carryovers to, or other deductions in, a tax period for which an amount of restitution was ordered and assessed pursuant to section 6201(a)(4)(A) reduce a taxpayer's civil tax liability for that tax period. Such deductions, however, do not in any way affect the Service's assessment or collection of the amount of restitution itself. Regardless of the amount of civil tax liability for that period, the Service must collect the entire amount ordered as restitution under section 6201(a)(4)(A). Criminal restitution and civil tax liability are separate and distinct. Section 6201(a)(4)(A) recognizes the distinction in requiring the Secretary to collect the amount of restitution ordered pursuant to 18 U.S.C. § 3556 in the same manner "as if such amount were such tax." The distinction between criminal restitution and tax liability is perhaps most starkly presented when a return preparer convicted of aiding and assisting in the preparation of the false returns, in violation of 26 U.S.C. § 7206(2), is ordered to pay restitution calculated with reference of the tax owed by his clients, a tax for which the return preparer is not civilly liable. The distinction is further illustrated by the fact that the amount of restitution ordered may differ depending on how the criminal case is resolved. Restitution determined under the Mandatory Victim Restitution Act of 1996, Pub. L. No.1 04-132, § 204(a), 111 Stat. 1227 (1996) (codified as amended at 18 U.S.C. § 3663(A)), applies to certain tax cases and directs that the amount of restitution is generally the amount of property taken from the victim (an actual loss to the government in a tax case) under 18 U.S.C. § 3663A(b)(1)(A) and (B), whereas restitution ordered pursuant to a plea agreement may be "to the extent agreed to by the parties in a plea agreement" for any amount greater or less than the loss attributable to the criminal offense. 18 U.S.C. § 3663(a)(3). See, e.g., Sloan, 505 F.3d at 695; Cooper, 498 F.3d at 1158. Restitution ordered in a criminal case may vary depending on how the case was ultimately resolved,independent -- at least in part -- of the defendant's actual tax liability for the tax period at issue. This seems to be the gravamen of the PMTA's conclusion. The two are just different. The restitution based assessment may or may not be the tax due for the period, although, at least in my mind, when restitution is assessed it should be the unpaid tax for the period (setting aside the effects of any carryovers). convicted today by a jury in Fort Myers, Fla., of conspiring to defraud the Internal Revenue Service (IRS) by concealing millions of dollars in assets and income in offshore bank accounts at UBS and other foreign banks, and of filing false individual income tax returns which failed to report the existence of those foreign accounts or the income earned in those accounts." According to court documents and court proceedings, Hough owned two Caribbean-based medical schools – The Saba University School of Medicine located in Saba, Netherlands Antilles, and The Medical University of the Americas located in Nevis, West Indies. Hough conspired to defraud the IRS with her husband, Dr. David Fredrick, who is awaiting trial. They carried out the conspiracy by creating and using nominee entities, including a foundation, and undeclared accounts in their names and the names of nominee entities at UBS and other foreign banks to conceal assets and income from the IRS. Both schools and associated real estate were sold on April 3, 2007, for more than $35 million, all of which was deposited into undeclared accounts in the name of the nominee entities. The majority of the sale proceeds were not reported to the IRS on their tax returns and no tax was paid. The evidence at trial further proved that Hough and her co-conspirator used emails, telephone calls and in-person meetings to instruct Swiss bankers and asset managers to make investments and transfer funds from their undeclared accounts at UBS. The evidence established that Hough and her co-conspirator caused funds from the undeclared accounts in the names of the medical schools to be transferred to undeclared accounts in their individual names or in the names of nominee entities. Hough and her husband then used the funds in their undeclared accounts to purchase an airplane, two homes in North Carolina and a condominium in Sarasota, Fla.
Hough was also convicted of four counts of filing false tax returns for 2005, 2006, 2007 and 2008. The evidence at trial established that Hough filed false tax returns that substantially understated her total income because she failed to report substantial interest and investment income and in 2007 because she failed to report her half of the proceeds from the sale of the medical schools. In addition, Hough failed to report on Schedule B of the tax returns that she had an interest in or signature or other authority over bank, securities or other financial accounts located in foreign countries. District courts can get into trouble if they rely unquestioningly on these figures [the equation of tax loss and restitution], however, because the loss amount for sentencing considers not just the conduct underlying the conviction but "relevant conduct" accompanying it. Calculations for restitution are not so permissive. They are rigidly compartmentalized to the actual losses resulting from the conduct of the convicted offenses. [A] person directly and proximately harmed as a result of the commission of an offense for which restitution may be ordered including, in the case of an offense that involves as an element a scheme, conspiracy, or pattern of criminal activity, any person directly harmed by the defendant's criminal conduct in the course of the scheme, conspiracy, or pattern. The defendant's argument on appeal was based upon the bold-faced language. The defendant argued that the harm that could be subject to restitution was only the harm resulting from his own conduct and not the conduct of co-conspirators. The district court calculated the restitution award using loss figures provided in the PSR. The Government argued that the intended losses from the overall scheme were roughly $65 million and that the actual losses were around $10 million. But the PSR recommended—and the government agreed—to narrow these amounts for Yair [the defendant]. The PSR concluded that when the universe of losses was limited to the dozen or so people that Yair interacted with or directed regularly in the course of the scheme, the intended loss amount was around $19 million and the actual loss $4,069,091.06. Seeing one of their select number hauled in handcuffs before a foreign court may prompt Swiss bankers to call their lawyers before they ring travel agents to book a winter break. "Maybe we'll all be taking our vacations in Ticino and Graubuenden," one senior private banker told Reuters, making light of concerns among his peers about travelling abroad by talking up the charms of Switzerland's picturesque mountains. It is unclear why Weil, 54, chose to cross the border, five years after he was publicly indicted by U.S. prosecutors. Switzerland does not extradite its own citizens in cases of tax fraud. But Italy, which acted on an Interpol warrant, has given the United States six weeks to seek Weil's transfer for trial. It is unclear how many Swiss risk arrest. Some may be the subject of U.S. indictments not made public. The U.S. Justice Department did not answer a request for the figures. Martin Naville, chief executive of the Swiss-American Chamber of Commerce in Zurich, thinks the number may be in the low dozens. Yet, he says, hundreds more have curbed their itineraries, avoiding setting foot on U.S. territory if not others, for fear of being caught up in the Justice Department's dragnet. "I would say there are 1,000 people who are currently not travelling to the United States because they are afraid," said Naville, whose forum maintains close ties to both Swiss and American business leaders and senior bankers. Naville said Swiss bank staff who had had few dealings with U.S. clients probably had little to fear. "But," he added, "If you have somebody who had 200 of those clients, had been very aggressive in pushing and peddling specific structures in overseas dominions and everything, that person is at risk." After a jury trial, appellant Bill Melot was convicted of one count of corruptly endeavoring to impede the administration of the Internal Revenue Code, one count of attempting to evade or defeat tax, six counts of willful failure to file, and seven counts of making false statements to the Department of Agriculture. Melot was sentenced to a term of sixty months' imprisonment, a significant downward variance from the advisory guidelines range of 210-262 months. He was also ordered to pay $18,493,098.51 in restitution to the Internal Revenue Service. His appellate argument is confined to an assertion the Government failed to prove he did so willfully. He argues he had a good-faith belief he was not violating the law. See Cheek v. United States, 498 U.S. 192, 201-02 (1991). n9 Melot points to his own testimony that (1) he genuinely believed the information presented in the "tax protestor snake oil" documents he read, (2) did not read the disclaimers associated with that literature, and (3) did not understand the Internal Revenue Code because it was "too complex" for him, as support for his assertion he held a good-faith belief that he was not violating the law. Based on its verdict, however, the jury clearly disbelieved Melot's testimony. To the extent Melot also relies on the testimony of Dr. Samuel Roll, that reliance is misplaced. Dr. Roll, a psychologist, testified at the sentencing hearing, not the trial. The defendant also argued that his sentencing Guidelines calculation was incorrect because the tax loss should not have included federal and state fuel excise taxes. Those taxes were included as relevant conduct. The Court of Appeals affirmed their inclusion. From my perspective, the opinion offers nothing really new on relevant conduct, so I do not discuss that aspect of the Tenth Circuit opinion. A prominent Swiss asset manager is facing extradition to the US after being arrested while holidaying in Italy on charges he helped American clients with $20bn of assets to evade US taxes during his previous job at UBS. Police in Bologna said Raoul Weil was arrested early on Saturday after he registered at a hotel and his name appeared on a police list of international arrest warrants. Mr Weil was transferred to Bologna’s prison where the next step would be for the US authorities to request his extradition, police said. Under Swiss laws, a suspect has to consent to an extradition, making it all but impossible for foreign authorities to succeed with such a request. Under Italian law, however, Mr Weil could be extradited within weeks or months, according to a US official following the case. Bryan C. Skarlatos of Kostelanetz & Fink LLP told Tax Analysts that the latest development highlights the DOJ's long reach. "Swiss banks, bankers, and other professionals who claim to have no connection to the U.S. still have real risks because the U.S. can and will indict them on charges of conspiring to help U.S. citizens evade U.S. tax," he said. Not only do Swiss banks face the prospect of paying stiff fines and potentially going out of business, but the individual bankers or professionals are effectively imprisoned in Switzerland for fear of being picked up on an international arrest warrant, Skarlatos said. "The lesson here is that the DOJ does have real leverage in forcing banks and bankers to comply with U.S. demands for information," he said, adding that this is why so many Swiss banks are considering making a voluntary disclosure to the United States under the recently announced DOJ settlement program for Swiss banks. Weil likely doesn't have a lot of settlement options given that the UBS probe is completed and other UBS bankers entered into plea deals with the DOJ, [Peter D.] Hardy said. "Perhaps there are some individuals out there that he can provide information on, but at this point I wouldn't be surprised if we saw a trial," he said. "And based on the indictment, he'd be looking at significant jail time. Attorneys quoted in the foregoing excerpts are Bryan C. Skarlatos, here, and Peter D. Hardy, here. "What Goes Around Comes Around: How the US Aided World Tax Evasion and What It Can Do About It"
There are, of course, a lot of ways that the U.S. policies have rewarded persons playing offshore tax games. Some have traditionally been viewed as implicating only civil consequences. These include transfer pricing and such other shenanigans that, if not too egregious, are simply subject to civil adjustment and perhaps some civil penalties. But the title of the article seems to focus on evasion which is commonly meant to be the conduct that draws criminal sanctions. Professor Avi-Yonah is a frequent speaker and author on international issues, so his work product is likely to be if interest to readers. I will post further on this, particularly as is likely if he writes an article or outline than can be linked for readers' review. Professor Avi-Yonah's bio is here. DOJ Tax announced here a superseding indictment of David Kalai and Nadav Kalai, father and son, adding to the previous defraud / Klein conspiracy charge two counts of FBAR violations. See the prior blog on the prior superseding indictment, New Indictment of U.S. Tax Return Preparers & Enablers re Offshore Bank & Related Activity (Federal Tax Crimes Blog 6/14/12), here. Nadav Kalai was previously reported to be connected to the Alexei Iazlovsky who pled guilty earlier. See Depositor Pleads to False Return; Depositor in Luxembourg Branch of Israeli Bank (Federal Tax Crimes Blog 7/1/13), here. As alleged in the June 2012 superseding indictment, David Kalai and Nadav Kalai were principals of United Revenue Service Inc. (URS), a tax preparation business with 12 offices located throughout the United States. David Kalai worked primarily at URS' former headquarters in Newport Beach, Calif., and later at URS' location in Costa Mesa, Calif. Nadav Kalai, who is David Kalai's son, worked out of URS' headquarters in Bethesda, Md., as well as URS locations in Newport Beach and Costa Mesa. David Almog was the branch manager of the New York office of URS and supervised tax return preparers for URS East Coast locations. The superseding indictment further alleged that the co-conspirators prepared false individual income tax returns which did not disclose the clients' foreign financial accounts nor report the income earned from those accounts. In order to conceal the clients' ownership and control of assets and conceal the clients' income from the IRS, the co-conspirators incorporated offshore companies in Belize and elsewhere and helped clients open secret bank accounts at the Luxembourg locations of two Israeli banks referred to as Bank A and Bank B in court documents. Bank A is a large financial institution headquartered in Tel-Aviv, Israel, with branches worldwide. Bank B is a mid-size financial institution headquartered in Tel-Aviv, with a worldwide presence on four continents. The indictment also alleged, the co-conspirators incorporated offshore companies in Belize and elsewhere to act as named account holders on the secret accounts at the Israeli banks. The co-conspirators then facilitated the transfer of client funds to the secret accounts and prepared and filed tax returns that falsely reported the money sent offshore as a false investment loss or a false business expense. The co-conspirators also failed to disclose the existence of, and the clients' financial interest in, and authority over, the clients' secret accounts and caused the clients to fail to file FBARs with the Department of the Treasury. In addition to the earlier charges, yesterday's superseding indictment alleges that David Kalai and Nadav Kalai each failed to file a FBAR for calendar years 2008 and 2009 concerning a foreign account held at Bank A in Luxembourg. The second superseding indictment alleges that both David Kalai and Nadav Kalai had a financial interest, signature or other authority over a foreign financial account that had an aggregate value of more than $10,000 during 2008 and 2009. Bank Frey is under investigation by DOJ Tax -- readers will recall that it is one of the banks that were excluded from the Swiss Bank settlement initiative. 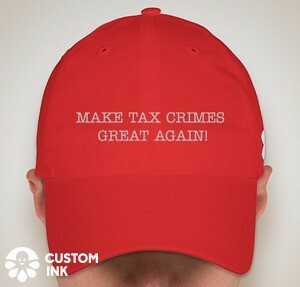 See prior Federal Tax Crimes Blogs on that initiative here. It is now reported that Bank Frey will close. Swiss private bank Frey & Co. is to close due to "unsustainable costs" stemming from the country's dispute with the United States over alleged tax evasion, it said on Friday, making it the second Swiss bank to shut as a result of the row. Switzerland and the United States have been at odds since 2010 over a U.S. campaign to get Switzerland's banking secrecy laws cracked open so it can identify possible U.S. tax evaders, a campaign which felled Wegelin, Switzerland's oldest bank, in January following an indictment. After shareholders voted to close Frey on Thursday evening the bank said increased regulation of financial institutions has resulted in a rise in costs in recent months, meaning it was no longer possible for a small private bank to keep running. However, the business was financially healthy and would not be liquidated, the bank said. Robert W. Wood, Swiss Bank Frey To Close Over IRS Investigation (Forbes 10/17/13), here. I doubt, however, that this move will stop the investigation. And it is not clear what the bank will do. It is not being liquidated. Perhaps that is to assure that there will be assets to pay whatever monetary penalties may result. Some taxpayers not willing to pay the price of the various Offshore Voluntary Disclosure Initiatives (currently OVDP 2012) have attempted an end run the initiatives by doing "quiet disclosures" -- by filing some number of years of amended or delinquent returns and delinquent FBARs. Apparently, they think that the IRS may process the returns and FBARs without further ado or, at worst, if they are caught, the quiet disclosure might mitigate either criminal or civil penalty risks. Scott D. Michel of Caplin & Drysdale said that it has recently become clear that the IRS has figured out a way to detect these so-called non-program disclosures. In speaking with revenue agents, Michel said, it is clear that they are unhappy with the practice and intend to go after those taxpayers they discover have taken that approach. Speaking on his own behalf, Russell [previously with the IRS Large Business and International Division and now at Dixon Hughes Goodman LLP] said that all penalties would be considered in the case of a non-program disclosure. Also, IRS agents have much less discretion in terms of penalties than if the taxpayer had come in through the voluntary disclosure program, he said. Practitioners ought to caution clients if they are considering making a quiet disclosure of an offshore account instead of going into the voluntary disclosure program, Michel said. "I think the odds of being detected are significantly higher now than they were two to three years ago," he said. One question not addressed in the article is whether, even if a quiet disclosure does not avoid potential civil penalties, will it avoid or mitigate the criminal prosecution risk? Attorneys have worried about that for a long time. Traditionally, although there was no specific IRS guidance blessing quiet disclosure vis-a-vis criminal prosecution, most attorneys did feel that quiet disclosures avoided or mitigated the criminal risk. I am not aware of any case where the taxpayer was prosecuted after making a good quiet disclosure and thereafter cooperating in any resulting investigation. Of course, if the taxpayer files fraudulent or misleading or incomplete amended or delinquent returns or delinquent FBARs as the "quiet disclosure," the taxpayer has not really made a quiet disclosure and the criminal mitigation risk is forfeited. The Supreme Court has denied certiorari in United States v. Coplan, 703 F.3d 46 (2d Cir. 2012). See Supreme Court docket entries here. The key issue presented on certiorari was whether the scope of the defraud / Klein conspiracy had impermissibly expanded beyond the scope of the criminal conspiracy statute's text. See 18 USC 371, here. The Second Circuit panel majority had questioned whether the expansion was appropriate but was constrained by the fact that the expansion was based on Supreme Court authority. Only the Supreme Court could overrule the expansion, and it chose not to even address the issue. Petition for Certiorari Seizing the Gauntlet Laid Down by the Second Circuit Majority Panel to Question the Klein Conspiracy (Federal Tax Crimes Blog 5/2/13), here. Coplan #1 - Panel Questions Validity of Klein Conspiracy (Federal Tax Crimes Blog 12/1/12), here. Roanne Eye appeals her 60-month sentence for interference with the administration of Internal Revenue Services ("IRS") laws, in violation of 26 U.S.C. § 7212(a), and filing false and fictitious IRS claims, in violation of 18 U.S.C. § 287. She argues the court erred by (1) applying an enhancement for obstruction of justice under U.S.S.G. § 3C1.1, and (2) calculating the loss amount based on tax refunds she never received. We affirm. Also, the district court did not clearly err in calculating the tax loss in this case at $1,127,559. Eye submitted claims for refunds to which she was not entitled totaling $1,127,559. According to the Sentencing Guidelines and this Court's precedent, $1,127,559 was precisely the loss amount in this case for sentencing purposes, because that is the loss Eye "intend[ed] to create when [she] falsifie[d] [her] tax returns." See United States v. Clarke, 562 F.3d 1158, 1164 (11th Cir. 2009); see also U.S.S.G. § 2T1.1(c)(1) ("If the offense involved tax evasion or a fraudulent or false return, statement, or other document, the tax loss is the total amount of loss that was the object of the offense (i.e., the loss that would have resulted had the offense been successfully completed). "); id. § 2T1.1(c)(4) ("If the offense involved improperly claiming a refund to which the [defendant] was not entitled, the tax loss is the amount of the claimed refund."). That Eye never received those refunds is irrelevant; she intended to cause those losses when she filed her fraudulent returns. Therefore, the district court's loss amount determination is not clearly erroneous. See Clarke, 562 F.3d at 1164. The key provision of the Guidelines quoted in the opinion is §2T1.1(c) which may be viewed in context here. The crisp answer to the question is "yes." Moving past cute, I provide the following that I have just added to my ongoing draft of the Federal Tax Crimes book (some footnotes omitted). e. Tax Due and Owing. (1) No Tax, No Tax Evasion. Where there is no tax due and owing, there is no tax evasion. Hence, tax due and owing is an element of the offense. I pause here to address a point of potential semantical confusion with regard to this element of the crime of tax evasion. This element of the crime of tax evasion is often articulated as requiring a “tax deficiency” rather than a “tax due and owing.” What’s the difference? Deficiency is a term of art in the tax code, which defines deficiency as meaning the tax that is due less the tax that is owed. n164 As thus defined and employed elsewhere in the Code itself, deficiency is essentially a civil tax term of art. I have been concerned that the use of the term tax deficiency could sow unnecessary confusion with its more common use in the civil context. I recognize that my concern is perhaps only a semantical quibble. Elements of all crimes must be proved beyond a reasonable doubt. Hence, this element must be proved beyond a reasonable doubt. So, when the Government puts on evidence of the “tax deficiency” to meet that burden in an evasion case, it will not – or should not – put on evidence of the portion of the civil tax deficiency that it cannot prove beyond a reasonable doubt. Stated otherwise, this element of the crime of tax evasion is only the portion of the civil tax deficiency that the Government can prove beyond a reasonable doubt that the taxpayer intended to evade. n165 In that sense, the use of the term tax deficiency would be correct because of the role of the burden to prove the deficiency beyond a reasonable doubt. For purposes of this text, however, I prefer to use the term tax due and owing as a term of art meaning only the portion of the tax deficiency that, as proved beyond a reasonable doubt, the taxpayer intended to evade. While even the term “tax due and owing” is not descriptive of the criminal concept because, read literally, it could mean the same as tax deficiency; still, as I understand that term, it has become a term of art in the tax evasion context, although I recognize that tax deficiency is also used as a term of art for this element of tax evasion. n166 Still, I prefer to avoid the use of tax deficiency because the term tax due and owing is not commonly used in any potentially confusing context. n165 This concept of dividing the tax deficiency between the portions attributable to tax evasion and not attributable to tax evasion is recognized § 6663, the civil penalty counterpart to § 7201 evasion. Section 6663 imposes the civil fraud penalty only on the portion of the tax attributable to fraud. So too, as I shall explain, only the portion of the tax deficiency attributable to evasion meets this element of tax evasion. n166 I did a LEXIS-NEXIS federal court search in the combined federal court cases database on “7201 w/20 ‘tax due and owing’” and received 73 hits, most of which used the term tax due and owing in this sense. E.g. United States v. Farr, 536 F.3d 1174, 1181 (10th Cir. 2008) (“ the first element of Section 7201 -- a substantial tax due and owing”). None of the cases were Supreme Court cases. I did the same search for tax deficiency (substituting “tax deficiency” for “tax due and owing”) and obtained 277 hits, quite a bit more, and several of the cases were Supreme Court cases. E.g., Boulware v. United States, 552 U.S. 421, 425 ( ) (quoting Sansone v. United States, 380 U.S. 343 (1965) as follows: “[T]he elements of § 7201 are willfulness[,] the existence of a tax deficiency, . . . and an affirmative act constituting an evasion or attempted evasion of the tax.”). On October 2, 2013, a jury convicted Ashvin Desai of 8 felony tax and FBAR counts. My prior blog entry on Mr. Desai's indictment is HSBC Indian Client Indicted (Federal Tax Crimes Blog 11/18/11), here. HSBC India Client Convicted of Hiding Accounts From IRS (Bloomberg 10/3/13), here. Desai, of San Jose, was convicted of filing false returns for 2007, 2008 and 2009 that omitted interest income of as much as $471,324 in the first year on HSBC India accounts. He also helped his adult son and adult daughter file false returns, and failed to file FBARs for 2007 through 2009, the jury found. For students who may not have seen a form of guilty verdict signed by the foreman, I link the Desai guilty verdict here. Sharp-Kemm, here, firm attorneys William M. Sharp, Sr., here, Larry R. Kemm, here, and William T. Harrison, III, here, have published an article on the new U.S. Swiss bank initiative. The Swiss-U.S. Banking Compliance Program- A Final Settlement?, Tax Notes International, September 30, 2013, at 1345, here. See other blogs on this initiative here. The new initiative is not obligatory: The three separately defined categories of Swiss banks may freely elect to participate in the program. Nonetheless, the Swiss government will strongly encourage its banks to participate in the program to finally resolve the U.S. assault on the Swiss banking system — and for sound reasoning. The benefits accruing to the Swiss banking system and to participating Swiss banks are clear: Such banks will no longer be possible targets of the U.S. criminal legal system, and they will walk away with a clean bill of health. This also will end the hemorrhaging of millions of francs of resources that the Swiss government and many of its regulated banks have dedicated to this dispute over the past several years. Finally, and perhaps most important, the global private banking and investment community should have an elevated confidence in the historically preeminent Swiss private banking brand — the number one private banking sector in the world. It is also interesting to note that the joint statement includes a commitment by the Swiss government to handle all treaty requests on an ‘‘expedited basis,’’ and this will include providing additional personnel and other resources to process treaty requests. These statements indicate that the U.S. government is most certainly preparing to launch a series of requests under the treaty presumably on a ‘‘behavioral pattern’’ basis and presumably on the basis that the limiting ‘‘tax fraud or the like’’ standard under the 1996 treaty will have been eradicated upon the ratification by the U.S. of the 2009 protocol. This remains to be seen because no apparent progress toward approval of the protocol appears to be in the works at the Senate Foreign Relations Committee level. All tax filing, tax payment and other deadlines remain in effect. The individual returns on extension to 10/15 must be filed timely. Tax refunds will not be issued. Taxpayer services other than web site are generally not available. On October 4, 2013, Pius Kampfen was sentenced. See prior blog on the plea agreement: Julius Baer Retired Banker Pleads to FBAR Crime (Federal Tax Crimes Blog 6/28/13), here. The key documents are listed, with links at the end of this blog. However, the plea agreement itself is under seal. 20130926 Kampfen Opening Sentencing Memo, here. 20130926 Kampfen's Statement with Sentencing Memo, here. 20130927 Government Sentencing Memo, here. 20131001 Kampfen Response to Govt Sentencing Memo, here. 20131001Kampfen Corrections (Exh to Response), here. 20131004 Kampfen Sentencing Judgment, here. Robert W. Wood has this article on the subject at hand: Should You Opt Out Of IRS Offshore Amnesty? (Forbes 10/4/13), here. I don't think there is very much new in the article that has not been said on this blog (by me and readers in their comments). Nevertheless, those considering opt outs should read the article, although with other available materials, in making their decisions. Of course readers comments are welcome. 1. Unauthorized Disclosure Under Section 6103. (1) no officer or employee of the United States . . . shall disclose any return or return information obtained by him in any manner in connection with his services as such an employee or otherwise or under the provisions of this section . . . .
[r]eturns and return information shall, without written request, be open to inspection by or disclosure to officers and employees of the Department of the Treasury whose official duties require such inspection or disclosure for tax administration purposes. Tax administration is defined as "the administration, management, conduct, direction, and supervision of the execution and application of the internal revenue laws or related statutes . . . and includes assessment, collection, enforcement, litigation, publication, and statistical gathering functions under such laws, statutes, or conventions." 26 U.S.C. 6103(b)(4). Thus, the issue here is whether Section 5314 is either an internal revenue law or related statute (either designation would make the disclosure permissible). The United States argues that Section 5314 is a "related statute" under Section 6103 (Dkt. No. 13 at 6). This is correct. Congress intended for Section 5314 to fall under "tax administration." See Staff of Joint Comm. on Taxation, 108th Cong., General Explanation of the Tax Legislation Enacted in the 108th Congress, 378 (Comm. Print 2005) ("The Congress . . . believed that improving compliance with this reporting requirement is vitally important to sound tax administration . . ."). Section 5314 is therefore a related statute under Section 6103 and the disclosures at issue in this action were lawful. Plaintiffs' opposition argues that the IRS did not follow the proper procedure pursuant to the Internal Revenue Manual ("IRM") Sections 4.26.17.2 and 4.26.14.2.2. The IRM states: "[w]ithout a related statute determination, Title 26 information cannot be used in the Title 31 FBAR examination. Any such use could subject the persons making the disclosure to penalties for violating the disclosure provisions protecting Title 26 return information." IRM 4.26.17.2(1)(G). Plaintiffs argue that defendant IRS failed to properly obtain a related statute determination because they did not follow the stated procedure for doing so. Plaintiffs' argument fails because the IRM holds no legal significance. Our court of appeals has held that "[t]he Internal Revenue Manual does not have the force of law and does not confer rights on taxpayers." Fargo v. Comm'r of Internal Revenue, 447 F.3d 706, 713 (9th Cir. 2006). Even assuming that the IRS did not follow its own procedures, plaintiffs have no claim for relief. Plaintiffs also argue that the IRS reports contained false statements and that these false statements are "actionable" under Section 6103 of Title 26. In support of this argument, plaintiffs cite Aloe Vera v. United States, 699 F.3d 1153 (9th Cir. 2012). Aloe Vera is not dispositive here because that decision analyzed the disclosure under Section 6103(k)(4), which exempts information that is authorized by treaty. Id. at 1163. The treaty in Aloe Vera authorized the disclosure of "pertinent" information. The court in Aloe Vera held that "knowingly false information" could not be pertinent under the treaty. Id. at 1163-64. Aloe Vera is irrelevant here because neither Section 6103(k)(4) nor the treaty are at issue. In BASR, the partnership reported a fraudulent tax shelter item that, under the partnership reporting rules found its way to the ultimate taxpayer's returns in a way that was less visible to the IRS. Apparently in order to test the legal position that Section 6501(c)(1) applied at the partnership level solely by virtue of the return finding its way to individual taxpayer's return, the IRS did not urge that the taxpayers signing the ultimate returns had the required fraudulent intent. Hence, the only issue was whether the reporting of a fraudulent item on the ultimate taxpayers' returns was alone sufficient to invoke Section 6501(c)(1). (1) False return. -- In the case of a false or fraudulent return with the intent to evade tax, the tax may be assessed, or a proceeding in court for collection of such tax may be begun without assessment, at any time. Textually, there is no requirement that the requisite intent be the taxpayer's intent. Read literally, therefore, fraud on the return will invoke Section 6501(c)(1). Essentially, that is the holding of the Judge Kroupa in Allen. Judge Kroupa in Allen just could not find any other persuasive interpretive sources that could permit her to say that the statute should be read to limit the "intent" to the taxpayer's intent. A literalist or strict constructionist such as Justice Scalia would, I project, have reached the same conclusion as Tax Court Judge Kroupa. The statute appears plain on its face and contains no explicit or implicit ambiguity regarding who must be the author of the fraud that is on the return. The question is whether there are other sources for interpretation that would permit a court to hold that a limitation that it be the taxpayer's fraudulent intent can be read into the text (meaning, I supposed, that the text is not so plain when the other sources are consulted). When and how courts undertake such an extra-textual inquiry is a broad subject in the law, so I cannot do little more than say that it is undertaken if the reviewing court finds the text itself not to be plain. It all depends upon what plain is. That is the process that Judge Braden undertook. Judge Braden started her analysis with Section 6501(a) which states the general rule that the assessment statute of limitations is three years from the date the return is filed. Judge Braden noted the following text in Section 6501(a) that the return in question is "the return to be filed by the taxpayer (and does not include a return of any person from whom the taxpayer received an item of income gain, loss, deduction, or credit)." In other words, for example, a partnership return does not affect the application of Section 6501(a) to the partner's return even though the partner reports partnership items. That is an unstartling proposition. Oliver Wendell Holmes also said “Taxes are what we pay for civilized society.” Compania de Tobacos v. Collector, 275 U.S. 87, 100 (1927) (dissenting). Ty Warner (Wikipedia entry here) formally pled guilty today according to various reports. The plea agreement is here. I discuss the plea agreement below. For my prior entry when it was announced that he would plead guilty, see Whopping FBAR Penalty in Criminal Plea; Beanie Baby Creator Gets Beaned With No Free Pass (Federal Tax Crimes Blog 9/18/13), here. On or about January 31, 1996, WARNER traveled to Zurich, Switzerland to open a secret offshore financial account with the Union Bank of Switzerland ("UBS"). The account held funds of WARNER's with profits or losses credited or debited to the account. On or about January 31, 1996, WARNER agreed that any correspondence pertaining to his UBS account be held by the bank as opposed to being mailed elsewhere. Switzerland. As a result, in and around December 2002 and January 2003, WARNER agreed to have UBS transfer the assets in his UBS financial account, which had a balance of approximately $93,630,083 as of December 19, 2002, to ZKB. Beginning in and around December 2002, WARNER concealed his name from being listed on the ZKB account by holding the account in the name of a purported "Molani Foundation." In calendar year 2002, WARNER earned gross income through investments in the UBS account in the approximate amount of $3,161,788. WARNER failed to report that income to his outside accountants. This article fails to address some key issues. The program is voluntary for the Swiss banks. The only banks for which it makes sense to participate are those with a high risk of prosecution and a manageable penalty. Even a high risk bank that cannot afford the Category 2 fines, will stay out of the program, because they have a choice between seeking protection for a possible risk or a certain death through the fines. What reason does a category 3 bank, who thinks it did nothing wrong, have to go into the program and face the risk of being moved to category 2 based upon its own disclosures. Maybe it will decide to 'let sleeping dogs lie'? And, if you really think you did nothing wrong, why do you have to ask for the US to agree, instead of just defending yourself if attacked. After all, just having had a US customer does not make a bank a criminal organization. The bank is going to have to evaluate its own risk of being prosecuted and being found guilty. If the bank is worried, and can afford the penalty, then why not join? Maybe try for category 3 and switch to category 2 if necessary, perhaps. The US is probably going to closely scrutinize banks who apply for category 3 status, and a bank in the program at that point will have no alternative but to pay the category 2 fines if challenged by the US. Any bank faced with devastating fines will avoid the program, that much seems clear. There are about 300 banks in Switzerland. The first focus for the US would seem to be to go after the banks who are 'dirty', but didn't join the program because they could not afford the fines. The banks will have a huge incentive to avoid participating in the program. If a bank had 50 US customers with an average $2 million deposit, the fine could reach $50 million. (By the way, it doesn't mean that the bank acted illegally with all 50 customers, but the same across the board penalty structure will apply to all customers in the voluntary program.) The annual gross fees earned by the bank could have been half a point or less, or maybe $500k/yr., on these $100 million of deposits. The net income to the bank on $100 million of deposits could have been $100k - $200k/yr., after costs of doing business are calculated. A $50 million fine from a business that might have generated this level of income is huge, and will provide a significant disincentive for a bank to participate. Moreover, even if a bank is later targeted, will the bank have to pay more than 50% to resolve the matter? Scott Michel, here, and Mark Matthews, here, both major players in in representing clients in the Offshore account drama and the general federal tax criminal area, have written an excellent article, titled The Justice Department and Swiss Banks: Understanding The Special Disclosure Program (BNA's Banking Report 9/24/13). The article is on their law firm's web site here (with link to a pdf version). I highly recommend the article for its analysis is what is now known about the program involving Swiss banks. I cut and paste just a few items. The PFSB referred to is the "Program For Non-Prosecution Agreements Or Non-Target Letters For Swiss Banks," or in shorthand, Program for Swiss Banks ("PFSB"). * * * * Perhaps more significantly, the PFSB incentivizes banks to persuade U.S. account holders to go into the OVDP, and some clients will do so. Indeed, in our experience, bank notification to customers that their identities face likely disclosure to the U.S. government, or a requirement that they demonstrate U.S. compliance or sign a Form W9 to avoid account closure, are common ‘‘last straws’’ leading the customer to take action. We see no reason why a participating financial institution could not threaten to close any account that has not been reported to the IRS or as to which the client chooses not to undertake a voluntary disclosure; indeed, many banks already have been communicating such a policy to U.S. account holders. As to former clients, though, there is little the financial institution can do other than to provide notice that disclosure is likely given the bank’s participation in the PFSB. Also, the OVDP’s FAQs provide that the IRS can terminate or change the terms of the program at any time as to any class of taxpayers, and more specifically, the IRS reserves the right to deem ineligible for OVDP account holders at certain banks that are subject to U.S. enforcement activity. Thus, the PFSB may cause the IRS to consider whether clients of participating banks should after a point in time be ineligible for the OVDP’s penalty caps. The IRS may give little or no warning before announcing this. This is just another factor that should cause both Swiss banks and their customers to ensure quickly that any holdout U.S. customers make a prompt and educated decision about entering OVDP. Quite obviously, the PFSB is limited to Swiss banks. But it is widely known that the DOJ is investigating banks in Israel, the Caribbean, India and perhaps other countries. Swiss banks that participate in the PFSB will have to provide information on transfers, and some Americans seeking to continue to hide their money moved funds to other countries, where the U.S. government might turn next. We can envision a further increase in investigative activity outside Switzerland if the U.S. obtains significant information concerning activity in other nations. Moreover, the PFSB could serve as a template for the U.S. to resolve cases involving financial institutions in other countries. To be sure, such agreements could differ materially with the PFSB, depending on whether, for example, a tax treaty is in place or there is a FATCA IGA. But one could envision a circumstance that involves, for example, Israel, where a few banks may be identified as targets and ineligible for a program like the PFSB, but then the U.S. announces a PFSB-like program for other banks there. Many of the same incentives would be in place for banks to participate and for bank clients to enter OVDP.